Wehaven’t seen red SKF forks seasl in a long time. RED OR GREEN, WHICH IS BEST? My dealer tells me that I need to put green SKF seals in my leaking forks. I already bought a set of SKF seals, and they are red. Do I really need to switch to the green ones? No. 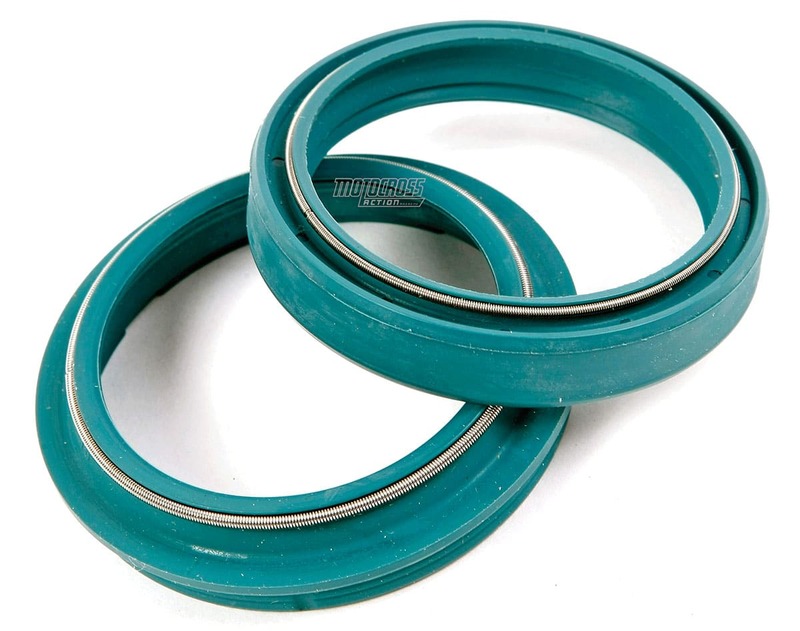 According to SKF experts, the only difference between green and red seals is the color, although the overall SKF seal design is upgraded at regular intervals, which means that buying the latest model is a good idea. There are also special seals for air forks, which have a unique lip design that works with the rapid air pressure build up. Since you didn’t say what brand of bike you own, we would just put the red seals in and call it a day.